So, what is the big deal about a growler anyway? We have all seen them at our local breweries, and some of you may even have a few of them lying around your house. Well, the truth is, growlers aren’t as big of a deal as they used to be. But, they are still very practical. Years ago, beer was not as commercially available as it is today. There weren’t large beer distributors or six packs available at every market. Also, there weren’t as many breweries or bars with operating hours extending through to Sunday – if only you could have your own keg at home. It was for these reasons growlers were made so popular. They helped to solve the problem of inaccessibility. 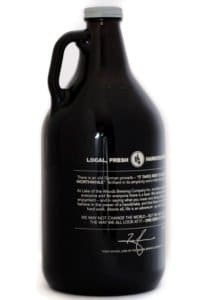 Using a growler, a person could easily carry beer home with them from their local pubs. It’s great to have a supply at your own place when they were unable to get to a tap. And although accessibility has greatly improved over the years, growlers are still conveniently serving the same purpose. There have been many times where I have wanted to enjoy my local brewery’s seasonal ale in the comfort of my living room, but it was only available on tap. And oppositely, there have been times where I wanted to share my home brew with family and friends. No matter the situation, these growlers will keep your brew fresh and are going to be your saving grace for carrying. Conceptually growlers are all the same. But they do come in many shapes and sizes. Some long, and some short. I highly recommend picking up one if you haven’t already. Even better, in today’s guide, we’ll help pick you one. Read on! 8 So What’s the Best Beer Growler? After brewing your first batch, you now want to be able to share your homebrew with family and friends. 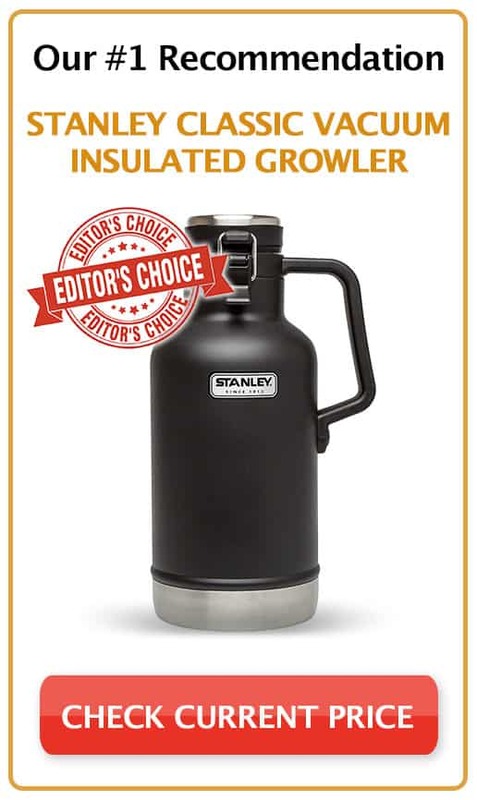 Well, look no further than the Stanley Classic Vacuum Insulated Growler. This 2-quart (64 oz) beer growler is perfect for the job. Made in 18/8 stainless steel, its vacuum-insulated body and the foam-insulated lid will keep your beer cold for 24 hours. Another good thing about this growler is that it has a heavy-duty handle that is easy to carry anywhere you would like to enjoy your beer. This growler is also naturally BPA-free. As expected from this brand, they have created a growler that is definitely worth the buck. Shop now and enjoy drinking your beer anytime, anywhere. 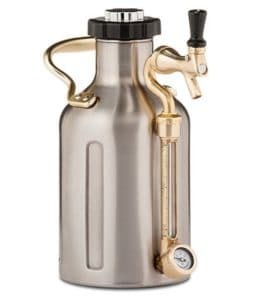 This is a pretty cool beer growler because it can keep your beer fresh and carbonated for two weeks. It is perfect to bring on long trips or anywhere where you want to enjoy the freshness of your beer. uKeg has a 64-ounce capacity and is made in 18/8 stainless steel with a vacuum-insulated body. It also has a locking dispenser tap with an interchangeable handle that provides endless personalization to its owner. 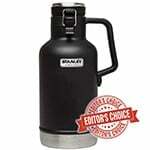 Another reason to buy this growler is that its adjustable cap maintains carbonation from 0 to 15 psi as desired. Comparing to other brands, uKeg only has a 1-year warranty. Some of its competitors offer a lifetime warranty which adds assurance to its buyers that their product is worth to last. 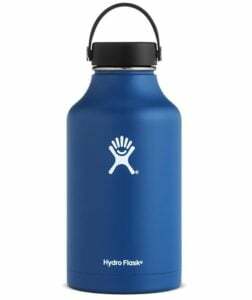 Last but not the least is our review of Hydro Flask. This is a 64 oz double wall vacuum insulated stainless steel growler that is perfectly built for outdoors. It can keep your hot water hot for up to 12 hours and cold water for up to 24. This 18/8 pro-grade stainless steel has a wide mouth opening for faster fill and flow. It is also BPA-Free and Phthalate-Free keeping you healthy and safe from chemicals. Its vacuum-insulated technology is responsible for maintaining the right temperature of your drink. 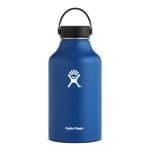 Looking at the previous brands, they might be more specialized in keeping your beer fresh because they have features that Hydro Flask does not have. But let’s not set aside this product and its ability to maintain our beer cold anywhere we go. This is one of the most popular growlers on the market today, and for good reason. 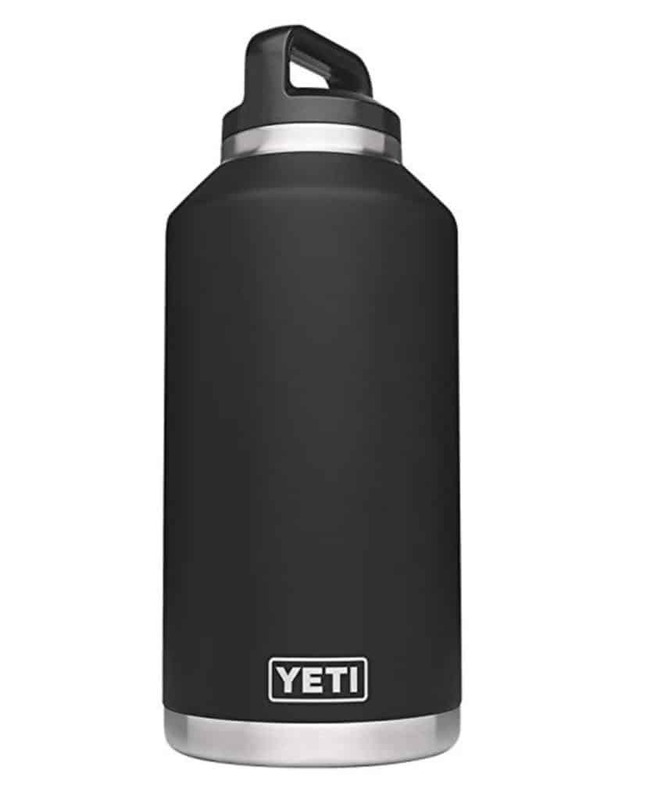 The 64oz Yeti Rambler has a double-wall insulation that can keep your beer cold for more than 24 hours without losing the carbonation. It’s also very durable–are you walking home from the craft beer brewery and you accidentally drop it? This growler has a seal-tight lid that will never let a single drop of your precious brew fall onto the street. Want to go hiking or camping with your favorite home brew? 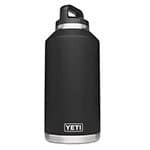 The Yeti Rambler is made from stainless steel and has a coating that will not fade, peel or crack even under the toughest of conditions. If you’re looking for a growler that’s a good bang for the buck, you’ll never go wrong with this offering from Yeti. This is probably one of the most popular and basic of beer growlers. The True Fabrications growler is the same kind of product that you can buy from your local brewery. It is a 64oz bottle made of glass and is amber in color. The color helps to protect against light pollution that may damage your beer. This particular product does not come with a cap. However, new caps are usually put on every time you get one filled at a pub or brewery. Caps are also very inexpensive and are very easy to find. Just remember that the lid should be replaced for each use. Make sure there’s some room at the top to avoid spillage. There is no bad growler. If you were thinking this, we’ll address that now. It just depends on how you want to use it. If you’re going to your local bar and want to bring back some of your favorite beer, then I would recommend going with an industry standard bottle. If you are looking for something that you can share with family and friends, then you may want to go with a 2-liter model because they hold slightly more beer and usually comes with a great design. Now you can walk around in style! Just don’t leave your brew in your bottle for a long time due to the carbonation. 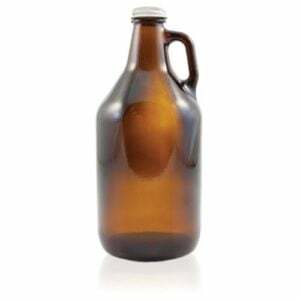 If you prefer to enjoy your brew the old-fashioned way without all the bells and whistles of fancier growlers, you will want to pick up a glass growler (brown bottles are best at preserving beer as they let less light in). They have this timeless look that just screams classic growler. For brewers and beer lovers like us, that is probably the most heartbreaking sight of all. 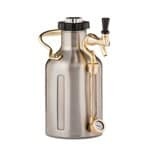 If you want a growler that’s more durable and will last for a long time, I would avoid a glass type and pick up a stainless steel insulated growler. It also has the added advantage of keeping your beer cooler for a longer period of time since most insulated growlers can keep beer cold for more than 24 hours. If you’re planning to spend your weekend in the outdoors and want to drink your brew during the day, this is definitely the best option for you. This type of growler also don’t retain flavors from your previous fill (if you consistently keep it clean in between fills). This means that you can enjoy your brew without the unpleasant experience of suddenly encountering other flavors that shouldn’t be there. So What’s the Best Beer Growler? 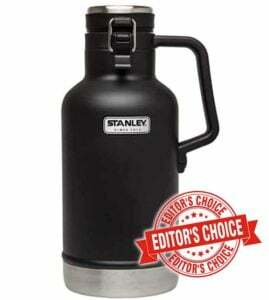 Personally, I love the Stanley Classic Vacuum Insulated Growler. Because I frequent the breweries in my city, I have used it more times than I can count. No one has ever denied to fill it. Besides bringing beer home, I have also used this product to carry my home brew to events and to my friends’ houses where everyone can enjoy and taste it. I do not regret my purchase and have more than got my money’s worth. Try one of these out before making up your mind about growlers. 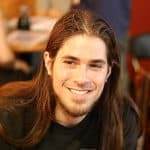 Previous Post What is the Best Carboy for Brewing? Next Post What’s the Best Counter Pressure Bottle Filler?